The Trump defenders at Fox News have been striving feverishly to dismiss any and all claims that Donald Trump had any connection to Russia’s documented interference with the 2016 presidential election. Many of them, along with Trump, deny that there was any interference at all. This campaign to rewrite reality has been relentless and intense, with absurd and slanderous allegations that the FBI, the Justice Department, and special counsel Robert Mueller are all corrupt, left-wing partisans. Precisely. It makes no sense at all. According to Watters, it is the fact that Trump colluded with Russia that proves his intention to win the election. 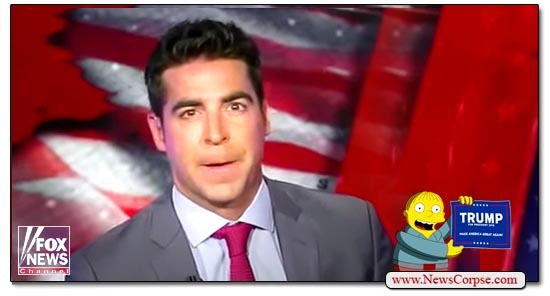 Therefore, Watters is conceding that Trump colluded with Russia. Thanks Jesse. We’ve been saying that for months. The only other alternative is that Watters was mocking the allegations of Trump’s collusion. But then, if he didn’t collude, that destroys Watters’ argument that Trump wanted to win the election. 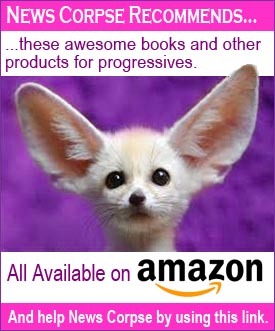 Therefore, the assertions in Wolff’s book are validated. You can’t have it both ways. This is the type of ignorance that Fox News viewers consume with relish, although only the good American kind and none of that unpatriotic Grey Poupon stuff. They regard these nonsensical contrivances as the intellectual foundation of their fantastical belief systems. And Fox News is all too happy to pump them out in a continuous 24/7 loop with smug, self-satisfied pundits assuring their glassy-eyed audience that it’s all true. It’s not difficult to sell this BS since it’s aligned so perfectly with the same brand of BS that Trump spits out to the uneducated disciples at his rallies and on Twitter. Recall that Trump himself told us during the campaign: “I love the uneducated.” And why wouldn’t he? They are the only ones dumb enough to buy his deranged drivel. When Fox News began in 1996, the intention was to develop an overtly partisan, right-wing network that would skew the news to the ultra-conservative views of Rupert Murdoch and Roger Ailes. After achieving that goal they set their sights on a business network that would eventually do the same thing. The Fox Business Network was never aimed at providing useful financial information. When it launched they put Neil Cavuto at the helm, a move that can only be interpreted as advancing the same conservative biases that infest his daily program on Fox News. And the execrable Lou Dobbs has long been a fixture on the channel. Three years ago they hired Maria Bartiromo who had been a financial correspondent on CNBC for twenty years. But it’s obvious now that Bartiromo has been inducted into the Fox mindset as she shamelessly disgorges wingnut propaganda. 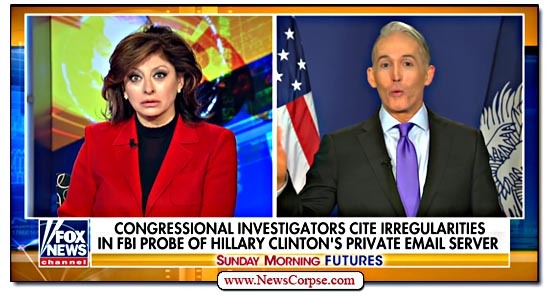 On her Sunday program, Sunday Morning Futures, Bartiromo interviewed Republican inquisitioner Trey Gowdy on a subject that Fox News and the GOP have been desperately trying to revive: Hillary Clinton’s crime-riddled past (video below). Never mind that she has been the target of blatantly prejudiced investigations for twenty years that haven’t turned up a hint of wrongdoing. With all of Donald Trump’s illegal entanglements, the GOP needs to find ways to muddy the public discourse. “We can’t have confidence if nothing is ever being done and there isn’t any accountability here. Obviously you have been searching for the truth. Devin Nunes is searching for the truth. But people are questioning the head law enforcement individual. These are the sort of questions that hardly require answers. The response is built into the inquiry. Particularly notable is the question that seeks to put words into special counsel Mueller’s mouth implying collusion on Clinton’s part. And asserting that Gowdy and Nunes are truth-seekers is painfully delusional. 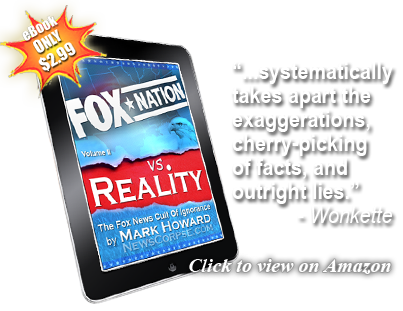 They are among the most acutely biased Republicans in the country. But Bartiromo regards them as more credible than the nation’s top law enforcement professionals. Yet this is the unethical posture that Bartiromo has taken in order to serve her masters at Fox News and in the Trump administration. It’s downright embarrassing and more than a little nauseating.